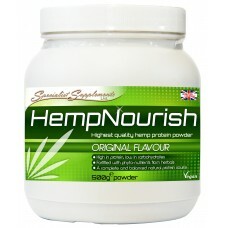 Hemp Nourish protein powder provides complete, balanced and natural protein from hemp (46.4g per 100g). This product also has as a broad range of vitamins, minerals, antioxidants and phyto-nutrients from 15 other superfoods and herbs. It beats single-ingredient protein powders hands-down. The unique blend contains all essential amino acids, is rich in omega oils (including EFA's) and dietary fibre, which is beneficial for a healthy colon and stable blood sugar levels. It is easily digestible without causing bloating or flatulence, as experienced by many people who consume dairy-based protein powders - this is an ideal alternative to whey and soya. 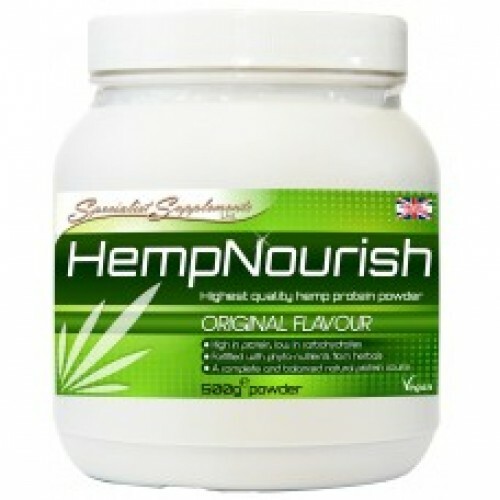 In contrast to various other hemp protein powders on the market, HempNourish does not contain hexane or other toxic chemicals, which can be used during the hemp protein extraction process. Our hemp protein product is only extracted using water, pressure and flocculation.